Storm: Hello class, here's another classic performed on guitar called Andante II. This piece is composed by Fernando Sor. Sor was one of the first musicians to promote the guitar as a feature classical instrument. Fernando performed in Spain, France and much of Europe in the late 18th and early 19th century. He composed many works for the guitar including a method for Spanish guitar. Many consider Sor to be one the most important composers of his time, launching the first Golden Age for guitar as a prominent instrument. 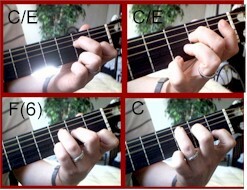 Storm: Andante II is in the key of C which has no sharps or flats. The title "Andante" translates from Italian term 'walking tempo'. The composition is in 4/4 time signature and played between 80 - 110 beats per minute, but in the lesson sample is performed at about 108 BPM. The start of the piece emphasizes sustained bass notes with a quarter note melody. 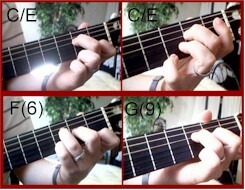 Most of the first 8 bars revolve around the C, F, and G major chords. Storm: Try holding the bass notes for their full value to bring out the definition between both parts. 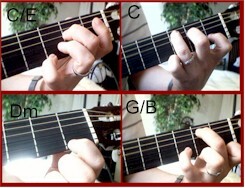 Notice how the chord forms for the next 4 bars. Storm: Bar 7 introduces half notes in the bass for two counts each. Bar 8 introduces quarter notes in the bass with one beat, then you play a melody, and by bar 8 you hold the C note down for four counts. Storm: You play two chords for the next four bars and then move between G and C.
Storm: Bars 9 and 10 are repeated in bars 11 and 12. 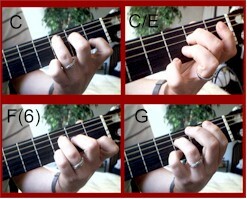 Here are the chord forms for the next 4 measures. 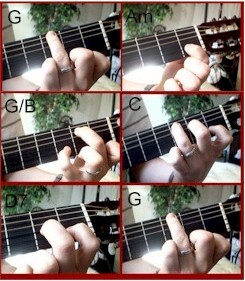 Storm: The G/D chord is simply the strings played open. Here's the next four measures. 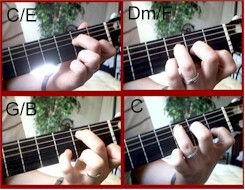 Storm: Notice a 'motifs' running throughout the song and the use of the open G string. Storm: Here are bars 25-28. Storm: We're on the home stretch now. You basically restate the first measures. Storm: Here are the last four measures, with a total of 32 to complete the composition. Storm: Classical guitar maestro Andrea Segovia recognized the importance of Sor as an educator as well as a composer, Segovia recorded a selected 20 compositions of Sor's 'educational' pieces. Sor educational studies however are musically satisfying and used for both purposes by students and performers. ginger: Which one is your favorite study? Storm: I like no 2. Nice workout for the thumb. Try getting Segovia's recordings of these. 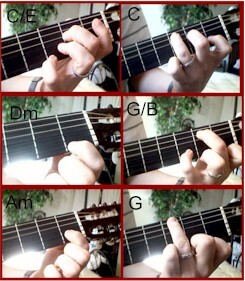 Try Recital de Guitarra. OK any last questions. kim: When was Segovia alive? Storm: Segovia lived over 100 years, I think 1890's to 1990's sometime. Thanks for 'tuning in'. Have a great week!